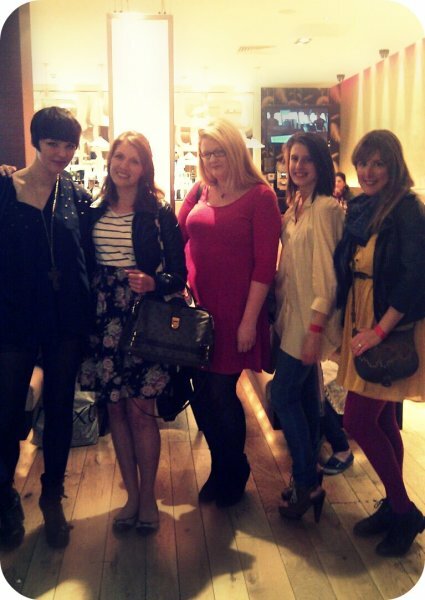 Last Wednesday I was completely star struck on the front row of the Gok Wan's fashion roadshow in the centre of Cabot Circus. Thank you to the lovely ladies who PR for Cabot Circus I was able to sit on one of the pink seats and use the voting paddles. The first season of Gok's fashion roadshow Gok was up against Brix Smith Start with a designer versus highstreet face off. This season Gok is up against.... well... Gok!! He has turned his hand at creating an affordable collection, where each outfit cost up to £50 and a more expensive, where each outfit cost up to £250. I wont reveal too much about them as the programme will be airing later this month but I am looking forward to finding out where everything came from. 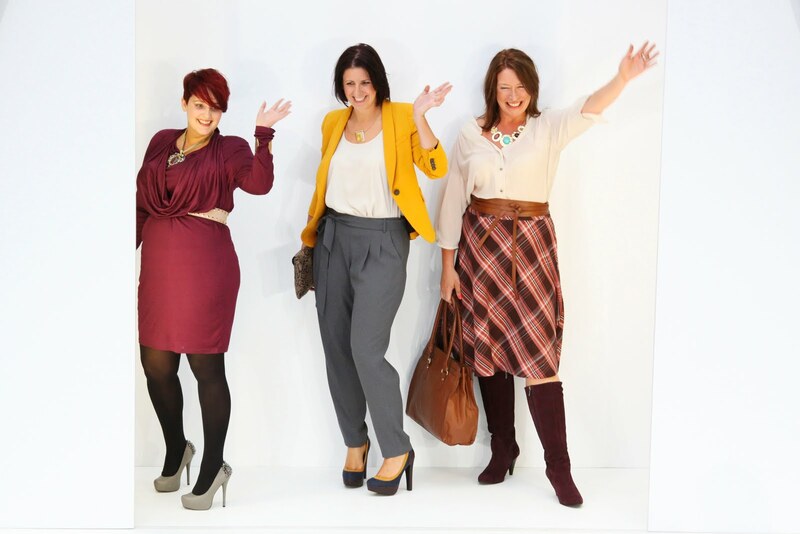 There were also three lucky ladies who had a Gok style make over and looked like they really enjoyed the experience. It was nice to sit where I did as I got to see the family's reactions, since they knew what they had looked like before. At the end I was grabbed for an interview.... Which I really hope isn't aired.... "I voted for the pink one... because of such and such a reason..." All very embarrassing - but I was pleased with my outfit and actually have a snap here with some of the other guests (Picture source mystreetchic.com). Skinny Jeans, over sized cream shirt and clogs. Managed to successfully wear those and not fall over much... hehe! All in all I had a lovely time. 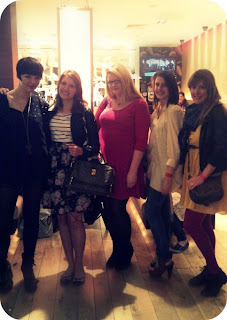 It was nice to also meet the girls behind mystreetchic.com who I sat with. Enjoy and hope you manage to catch the show! 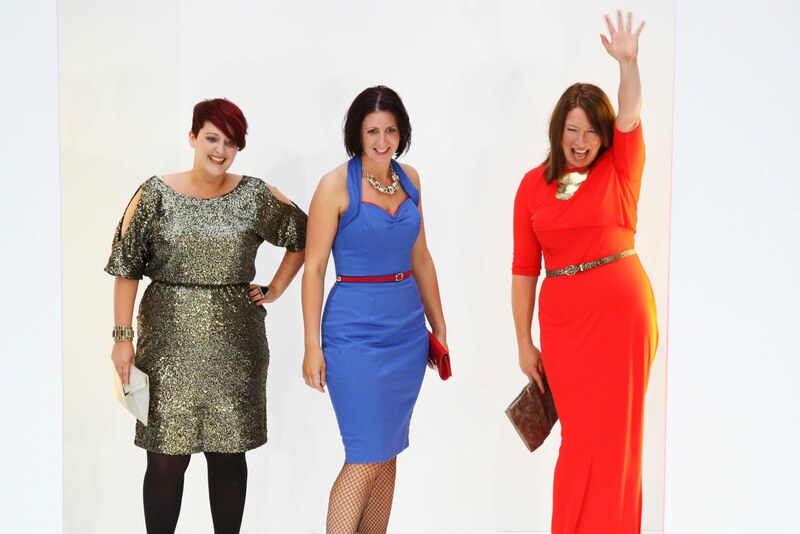 About Alexis Knox: Style Mentor on T4's Style the Nation alongside Giles Deacon and Nick Grimshaw, Alexis Knox is an expert on expressing personal style. By Day she is Fashion Director at Notion magazine and a renowned stylist and by night she is a host at the surrealist club night ‘Circus’. Accessorise to the max! I went to a Convent school where the uniform was pretty strict.... a kilt! So it was all about customising to the max with plastic bangles, kids accessories and gweebo bunches! About: Britta Burger is acting Fashion Editor at surf, skate and snow title Cooler magazine. The duffle bag really reminded me of all-American High-School basketball heroes, the whole sporty collegiate style. It’s also about the way I grew up, the whistles remind me of my parents who were sports teachers and the poms poms are kind of like balls. The canvas of the bag was just asking to be drawn on with the markers and I suppose it's also an abstract take on the classic stars and stripes, but I was inspired by the iconic pop art aspect of it, not the fact that it's a national flag. 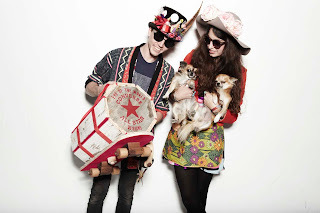 About: Stylist and Accessories Designer Hope Von Joel’s fashion credentials begin at home, as Niece of Supermodel Jean Shrimpton, Hope studied knitwear at Central Saint Martins, working for the likes of Alexander McQueen and Gareth Pugh, before becoming Fashion Editor at The Super Super . 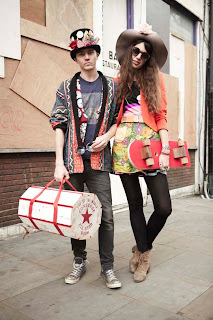 From styling London Fashion Week shows for Charlie Le Mindu to fashion editorials for titles such as Elle Girl,Tank, Arena, Oyster, Dansk, and UK Vogue, Hope is now contributing Fashion Editor at Fiasco and one half of the talented design duo behind http://www.eyeoftheworlddesigns.com/ with Liam Motyer, creating stunning handmade wooden accessories, available exclusively at Browns Focus. With a big smile and old paisley scarf, fur muff to keep hands warm and old second hand shoes in a shiny 60s black and white! About: Chantelle Fiddy is a journalist and renowned commentator on London's grime scene, whose music credentials include penning for Ctrl.Alt.Shift, RWD Magazine, Mixmag, Sunday Times Style and Dazed & Confused as well as presenting on Channel 4's 'Generation Next' and making multiple appearance on BBC Radio 1's Review Show. You'll mostly find her online. Describe your school style? My school style flitted between record bags and (hideous) rave jackets (I hereby admit to rocking a Technics number) to holding my (entire mop of unbrushed) hair up with felt tip pens and wearing leg warmers alongside my yellow shirt and green blazer. 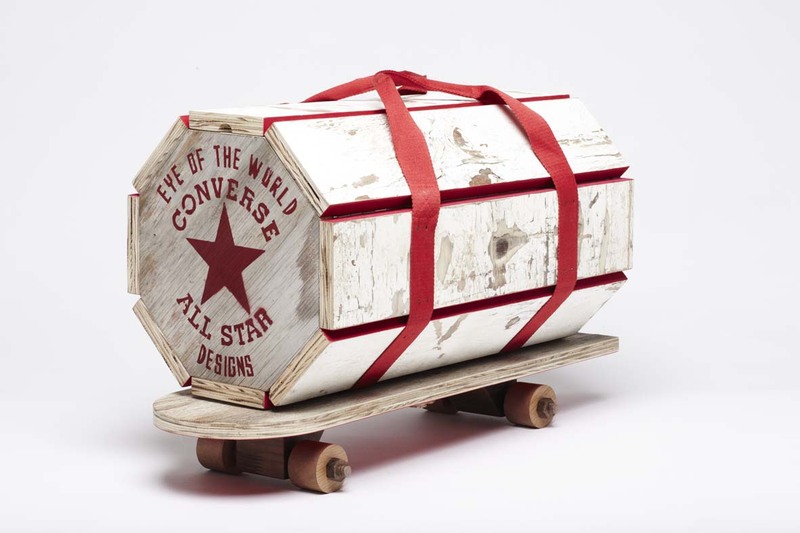 For AW’11 Converse took the illustrious heritage and iconic style, that has seen their classic sneakers and Chuck Taylor All Star logo omnipresent since the 1900s, to create their first ever dedicated Bags & Accessories Collection. The debut collection reflects the simple and versatile styling synonymous with Converse complete with the iconic Chuck Taylor All Star logo, steel eyelet details and the ever versatile canvas. Right it is time to blow the dust off this blog and banish the tumbleweeds and get with the programme! I have no good excuse for my lack of activity and can only apologise for being dull and say thank you to those followers who have not left out of sheer boredom!!! As you know I finally managed to get a paid office job at the end of February. I shall not divulge the company name but I was there with an agency on a temporary bases. On 1st June I was offered a role within the company to work permanently and I started on 1st July! I am currently 2 months in to my 3 month probation period and I feel it is going well. I enjoy working with the people I work with and I think that is what counts... My hours are also pretty cool 9am - 4pm, which means I have actually had some time to draw :) I also am really enjoying office wear = smart/casual can be lots of fun and I am also becoming more experimental with my weekend style. 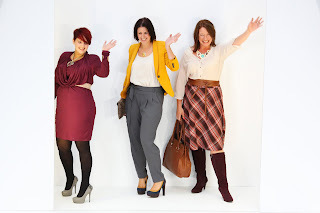 I hope to incorporate some style snaps for you on this blog going forward. Stairs? Yes you read correctly! Mr FF and I have moved out of our one bed ground floor flat in to a two bedroom house! Yay! 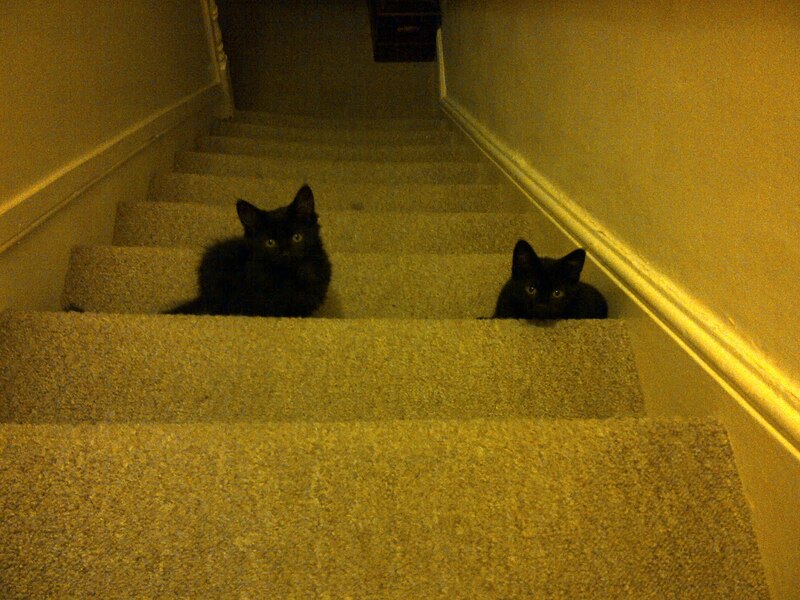 To be honest I am just as excited about the stairs as the kittens!! Hehe! 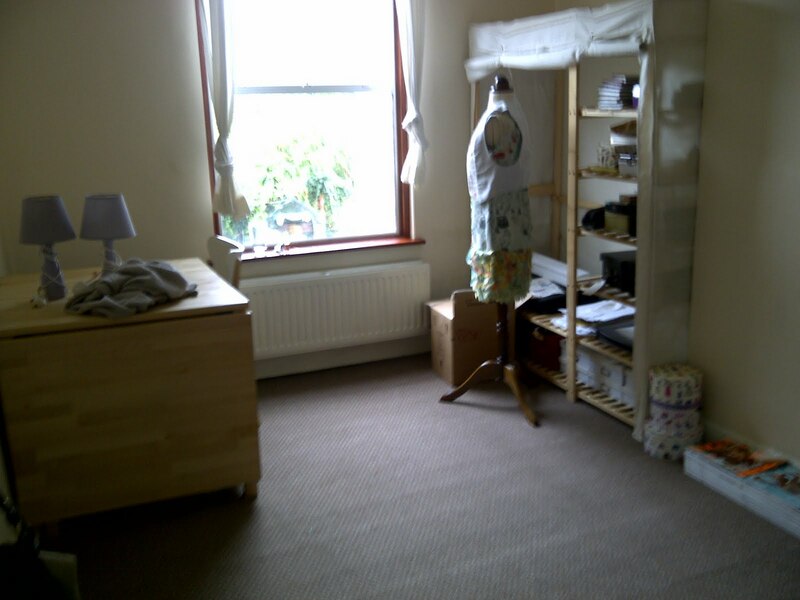 It is still rented but it is a lovely Victorian mid terrace house with features, a garden and I have converted the second bedroom in to a bit of a studio space, which I plan to shut myself away in whenever I come home from work. However coming from a one bed flat in to a house one notices a severe lack of furniture so I have become a tad obsessed with interiors at the moment and I think my Tumblr blog will start to reflect this... I need to buy a scanner, mine went to scanner heaven, as I have a big box of image clippings I plan to share with you on that blog! Anyway that's the life update over... I am very much looking forward to writing a few posts I have lined up and sharing with you my Autumn favourites that are now in the shops. But for now, how are you? and what have I missed?